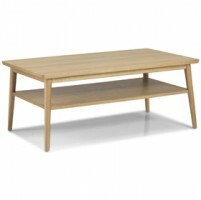 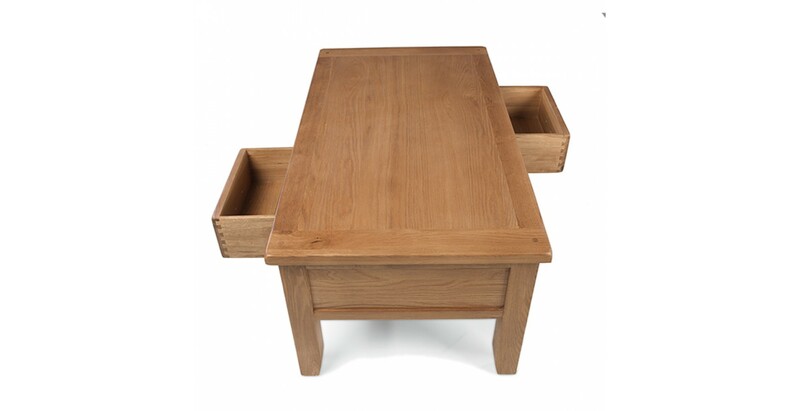 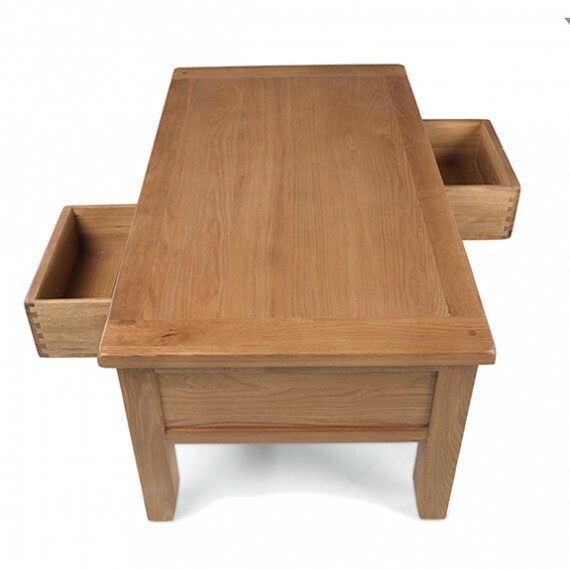 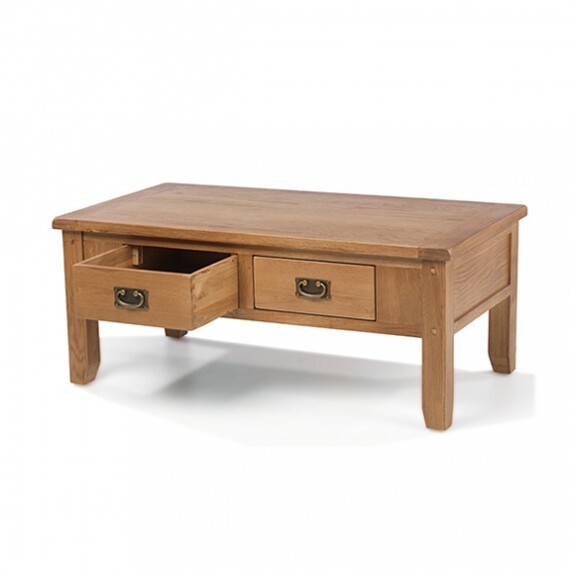 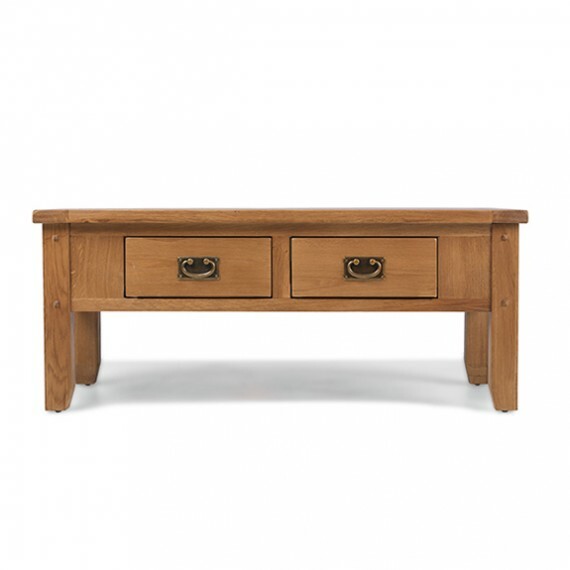 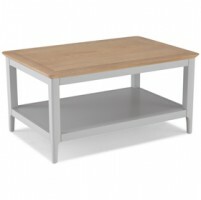 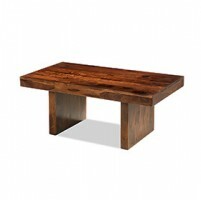 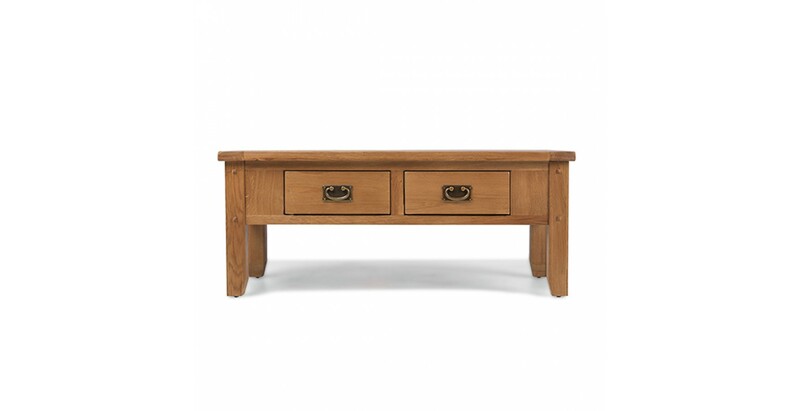 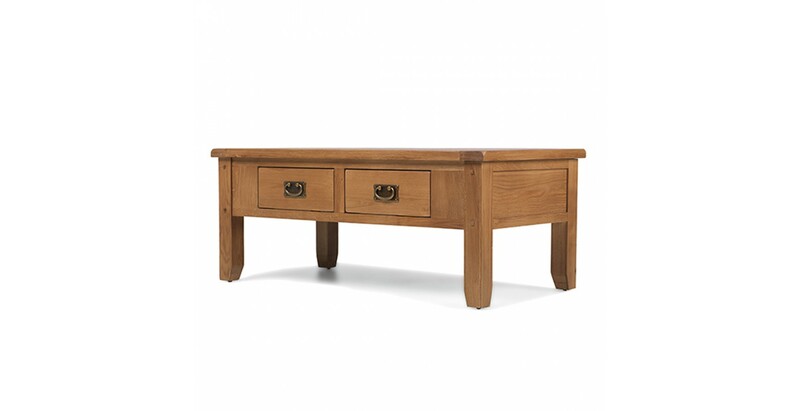 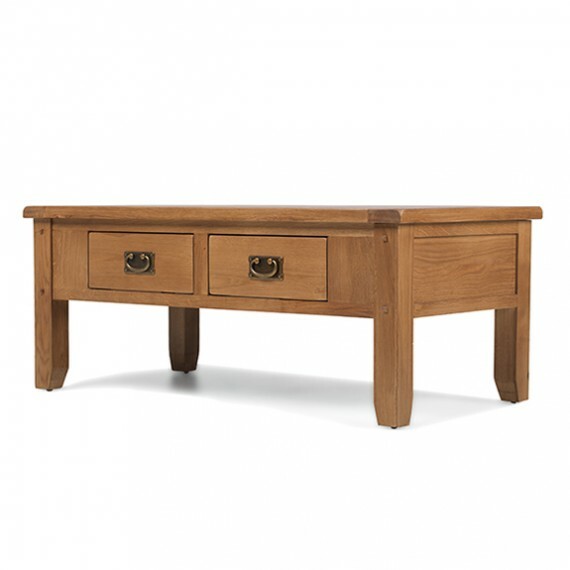 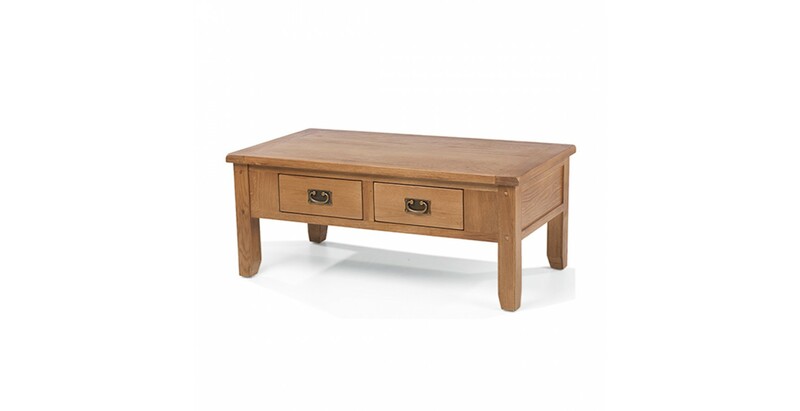 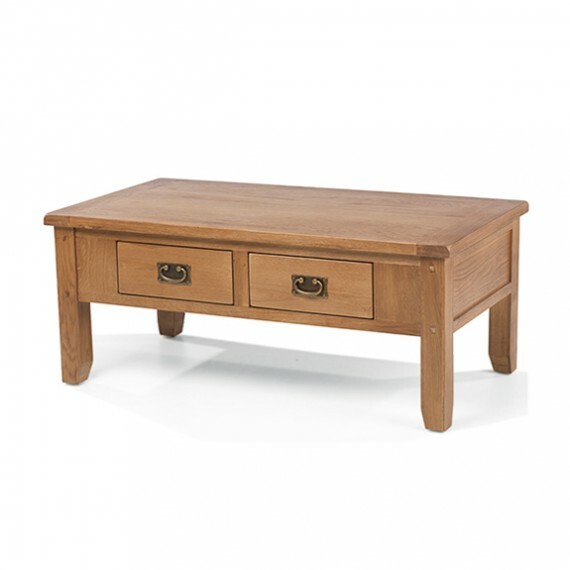 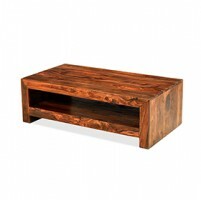 With two drawers on either side to keep playing cards, stationery, spare batteries for the remote and other small items neat and tidy, the chunky top of this handsome coffee table is then left free for your well-deserved evening glass of wine. 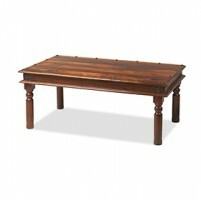 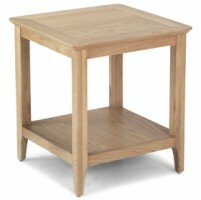 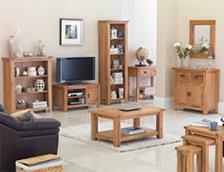 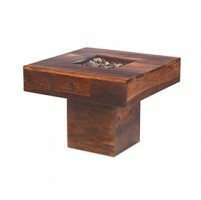 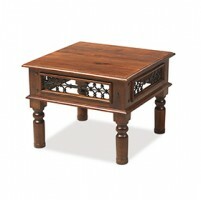 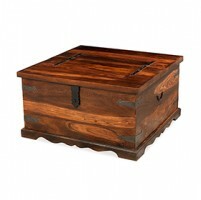 Crafted from oak and oak veneers, its rustic homeliness will be welcome in a wide range of decors. 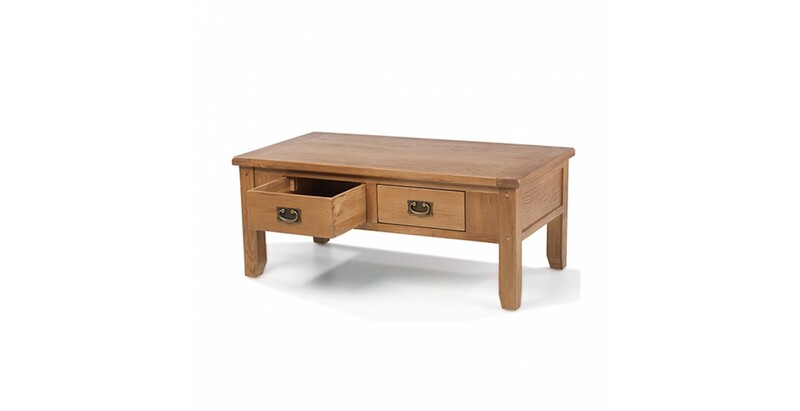 With peg detailing and antique-effect metal handles adding character, a natural lacquer finish ensures it will stay looking good for years.